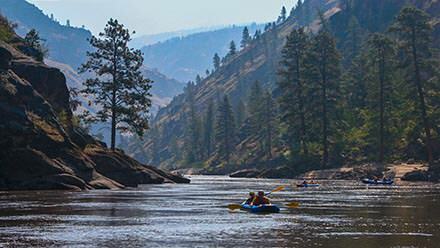 Most begin their journey to the Main Salmon River with a flight into Boise, Idaho and opt for the Travel Package that includes one night in Boise, a flight to Salmon, Idaho, one night in McCall, Idaho after the river trip, and a ground shuttle back to Boise. If you drive to Salmon yourself, note that there is an additional fee to have your vehicle and luggage shuttled to the takeout at Carey Creek near McCall, Idaho. In Salmon, you will meet a member of your crew for an orientation meeting the night before the river trip. In the morning, you will board a group bus for a scenic drive (approximately 2 hrs.) to the boat ramp at Corn Creek. 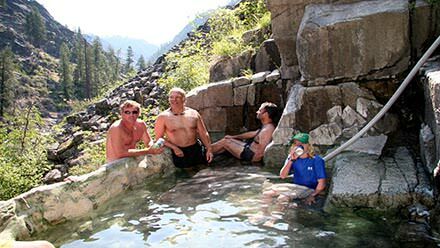 At 7:30 am, you'll meet your guides in front of the Stagecoach Inn and board the bus that will follow the Salmon River for nearly two hours to the edge of the Frank Church Wilderness. You'll be able to stop at the general store in Northfork before heading down the canyon to where the guides await with the rafts at Corn Creek put in. Choose from oar boats, paddle rafts, or inflatable kayaks and enjoy moderate rapids such as Kill um, Rainier and Devil’s Tooth. More challenging rapids lay ahead. Relaxing time on the river and at camp gives time to absorb the splendor of the surrounding mountain wilderness. Rise in the morning to fresh alpine air, enjoying a hearty breakfast prepared by your guides. Load the boats in preparation for whitewater rapids with tranquil water in between - allowing you to spot wildlife and gaze at mountain vistas that surround. Some excursions to homestead cabins, or hot springs break up the days on the river. At camp, you can enjoy a rousing game of beach volleyball, or explore the landscape. Enjoy a relaxing dinner by the river, and swap stories around the campfire at night. Through a mile deep, heavily-forested canyon, you’ll run Salmon Falls, Big Mallard, Elk Horn and several other exciting rapids. Explore Campbell’s Ferry Ghost Town and Buckskin Bills Compound. Lower in the canyon, thick forest gives way to steep granite cliffs. Large sandy beaches and glass-like pools provide favorite play spots for swimming and beach volleyball. Top off your final day with two of the largest rapids on the trip – Chittam and Vinegar Creek. After lunch, you’ll enjoy a scenic ride to the resort town of McCall, Idaho. Guests on the Main Salmon Trip have the option to meet in Salmon, Idaho themselves, or to purchase the complete travel package ($425 person) and just meet in Boise. Guests purchasing the Boise Idaho Travel Package will need to make travel arrangements to arrive in Boise the NIGHT PRIOR to your trip departure date. When you arrive at the Boise Airport you will catch a complimentary shuttle to the Vista Inn. The next morning at 5:30 AM in front of the Vista Inn, you will meet the special charter flight shuttle. 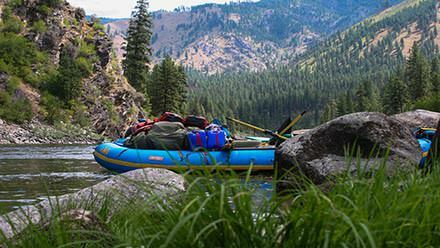 A beautiful early morning flight over the Central Idaho Wilderness Area will take you to Salmon, Idaho where you will meet your guides and begin your rafting adventure with a 2-hour ride to the river. After a farewell lunch at the boat ramp, trip participants will travel by bus to McCall, Idaho. Guests will stay in McCall, Idaho (in the hotel listed below) for one night before returning to the Boise airport the following morning by 12:30 PM. Charter flights are also available at an additional cost. If you are meeting us in Salmon, Idaho where the trip begins, you will need to arrive in Salmon by 7:00 pm the night prior to the trip's departure. You will spend the night prior to your river trip at the Stagecoach Inn in Salmon. 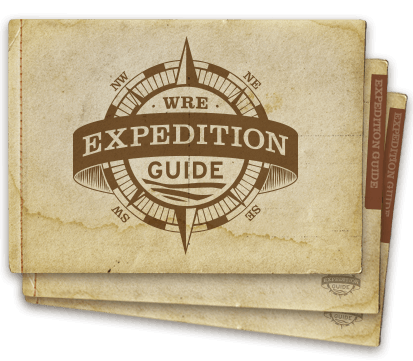 There, you will meet at 7:30 pm the evening prior to the trip departure with your guides for an orientation meeting. Vehicles can be shuttled from Salmon to McCall for $300 plus $60 for gas. You will receive receipts and any change. The last night of your 5-day trip will include lodging in McCall, Idaho. Enjoy the beautiful mountain town of McCall before you continue your travels the following morning. 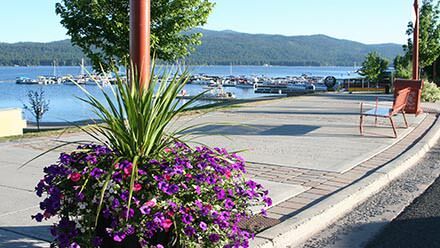 The picturesque town of McCall, situated on the southern shore of Payette Lake, is a fun and quaint little town with shops, restaurants, nice parks and plenty of options for continued play in the deeply forested mountain plateaus of central Idaho.